Rated 5 out of 5 by kraymin from What's not to like, I'll tell you Wow for an older game this is a really nice game. Great story line (believable) and the game flow is really, really great. There is a custom setting for the difficulty, which I love. I hate games that don't have a custom difficulty setting. I want to choose how long it takes the skip and hint to recharge. There aren't so many areas open that you can't remember where you saw things you need later. I would always advise playing the demo first but I bet you buy this one, its well worth the purchase price. I gave the fun factor a five, and it isn't a slow moving game, the storyline and game play draw you in from the opening scene and gets more intriguing as you go along. I recommend this game to both beginners and long timers alike. Its a good starter game for newbies. Hey buy the game and just enjoy yourself, I did. Rated 5 out of 5 by OldIrishfish from About Time... About time someone came up with a game for adults - one that has a great map, great voice-overs, great lip-sync, an interesting and involving story line - enough with the wall papers, and other goofy kid-stuff. This one is the best I've seen and I've seen quite a few games. It should be called a "mystery" really. rather than "adventure" or "hidden object" although there are HOs throughout. Try it - you'll like it and I'll bet, you'll buy it. Hooray for whodunits! C'mon BLAM let's see more quality stuff like this. Rated 5 out of 5 by denniann2 from murder by the books someone is killing people in 1930's boston. the suspect is your husband since the crimes are based on the books he has written so he goes on the lam and you try to solve the mystery before you wind up dead as well. sequel...from the ending i would think so. a custom level and interactive map are available. Rated 5 out of 5 by Powrtoc1 from Good murder mystery I liked the game, and really liked how the detective assisting Mrs Pollock was drawn. I understood the motive for the murders, but I will say it was a far stretch. The game was fun to play and very entertaining. I had played the CE version, and will say the bonus game was just the right length, not too short. This is a keeper. I see a sequel . . . Rated 5 out of 5 by ToonieCube from Bringing detective work back! A bit different than other's but I enjoyed the whole story line. I found the game ran smoothly with logical steps along the way. The map helped a lot and the magnifying glass was a nice added touch that gave me a feeling of reality while playing out the story. Overall, it's an excellent game with quite a number of characters and a 50's detective "feel" about it. I did find it amusing though, to see a phone dial working backward and wondered why plaster needed a solvent? Kudos to the journal that allows the gamer to replay scenes. Nice one! Rated 5 out of 5 by nwind from Good story! The story grabbed my attention immediately and stayed on track throughout. There was a decent mix of HOS and puzzles, none overly challenging, but largely pleasant diversions. I got through this one on the fast side, but mainly because I was enjoying the story and hard trouble putting it aside until I found out what was next. Graphics and music were good, not outstanding, but adequate for the story, which really was the focus. 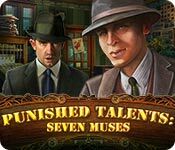 Rated 5 out of 5 by BlackWaterRules from Great Hidden Object Adventure Based on the demo. 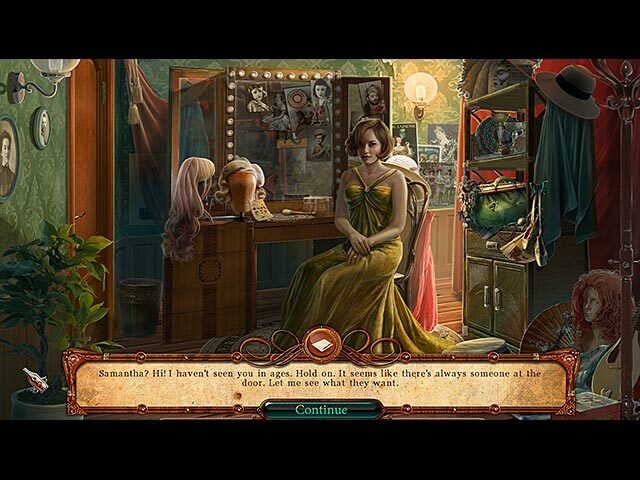 This is a great hidden object adventure game. An author is accused of murders because all the murders he has written about are now taking place. 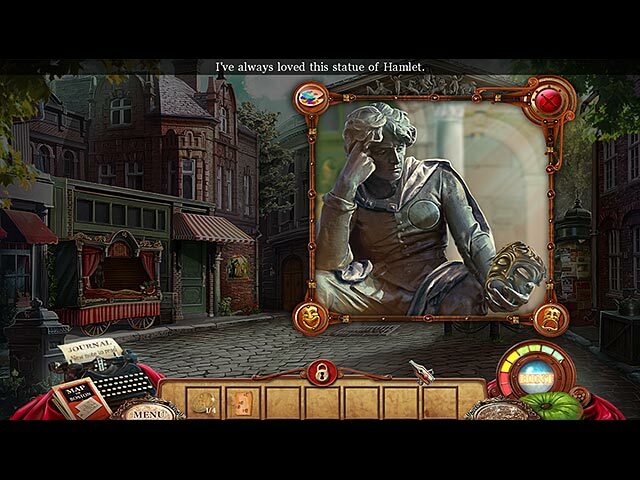 The hidden object scenes are moderately hard, with some interactive objects, and some objects needed to complete the adventure. The mini games are superb, pretty unique, and thought provoking. The graphics are beautifully done, as is the soundtrack. The storyline is interesting as it is very unique and very different. 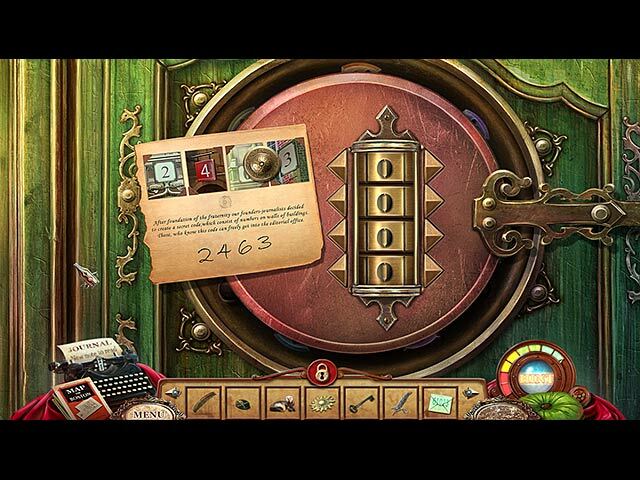 If you like hidden object adventures you will love this game. An immediate buy for me. Rated 5 out of 5 by Robcol from Slow Am I the only person who is experiencing long pauses between screens? Rated 5 out of 5 by whitewolf2226 from Excellent game but.... My first review, the game kept you going, only one problem, which I'm seeing a trend for, is the puzzles that make you rearrange objects, to their right positions, which I skipped over many. Not my cup of tea. Regardless that I used my skip button over most of them, the overall game was well crafted, and never gvee you a chance to forget where objects were, a definite treat, plus an interactive map helps.. Hopefully games will come up with better mini games, but I am still gving this a five star, which I haven't been intrigued enough to want to even give a review. A must have. Rated 5 out of 5 by pennmom36 from A Murder Novel Is Becoming A Murder Reality! Somebody is using Russell's murder novels as a real life manuscript! It's a good thing that Russell's best friend is a detective, together the two of you will have to prove his innocence and find the real murderer. This game is centered around the fine arts, theater, music and art, with plenty of musical and theatrical gadgets to figure out. The HOS are interactive list finds but the mini games are what keeps this game interesting. A puppet show that requires you to act out each scene, placing statues from largest to smallest, and four circles with 4 tiles each that need to be rotated to correctly place the 4 tiles are just a few of the puzzles you will encounter. Graphics are detailed and crystal clear, characters are lifelike, and although I wasn't completely sold on the CE, I really think this standard edition is the better choice, enjoy!